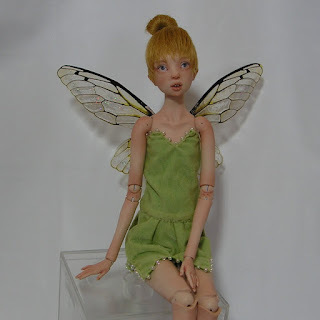 Hi everyone, I've listed my Tinkerbell on eBay, her action will go on for 7 days and will end on April 4, here she is. 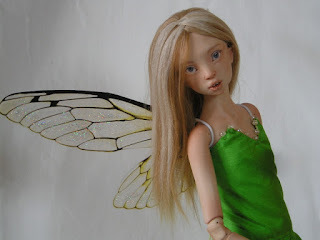 Cute transparent wings, she is wearing them on her shoulders - no hole in her back. 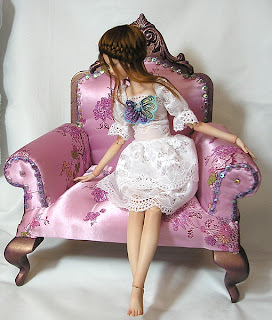 I will take some more pictures on Monday to show her complete look, I am not very good at photographing so it usually takes me almost all day to get some nice shots done LOL, I am often told that my dolls look much prettier in person. Tinker Bell's new hair and dress! 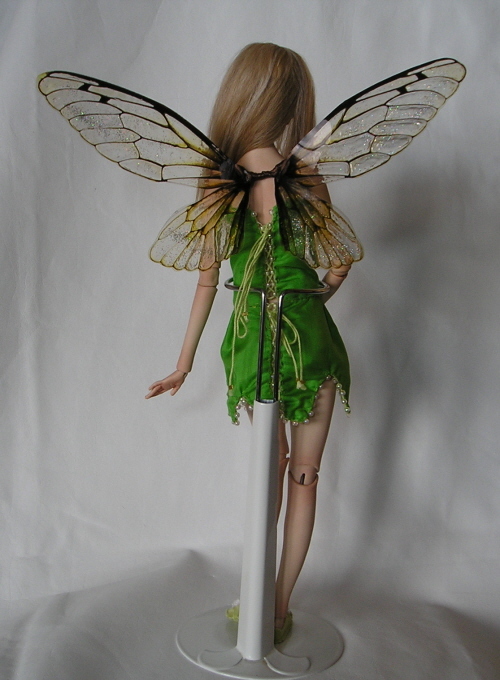 So the simple Tinker Bell dress is now completed and it is two sided dress so can be worn inside out, the inside color is a lighter green (I will take some pictures next time), her second wig is done too and gives her new look. Now I will be making her shoes and wings, coming up next :). 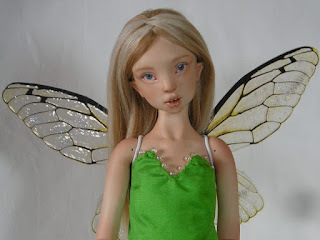 Here are some more pictures of my Tinker Bell, she is now strung and has her first wig done, I will make her another wig with loose hair, blond and without the hair bang so that we see better her beautiful eyes and eyebrows. 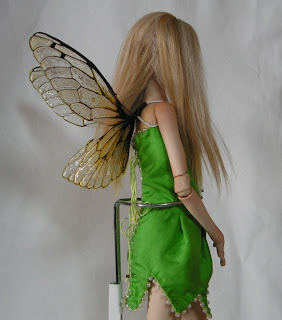 She has a real Tinker Bell look to her, playful and full of magic, I can't wait to add the finishing touches, like wings, dress and shoesies. 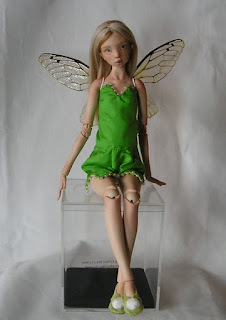 Who doesn't like Tinker Bell , she is one of the most recognisable Disney characters, and what a better way to put her to life than make a ball jointed doll :). 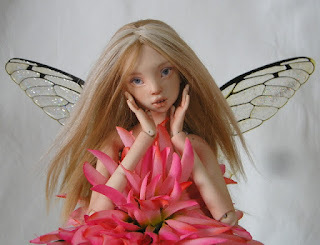 She is almost ready for her stringing and I will do it within the next few days, also I will make her a cute little dress and two wigs as well as Tinkerbell wings, and I don't know if I have to mention it but she will have the most adorable face with deep blue eyes, oh and also pointy ears :). So here are the latest photos of Vicky, she is all done now, and has two removable wigs and a dress. 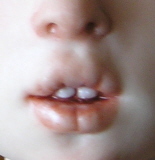 I will list her on to eBay's action tonight.